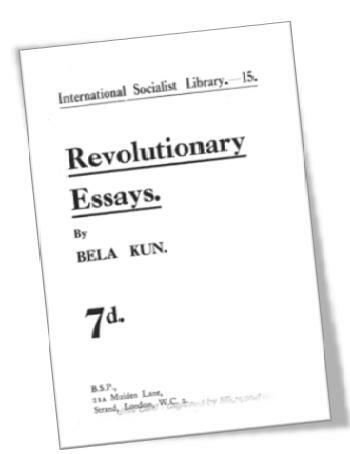 It is our endeavor to upload documents/books/articles dealing with Bela Kun and the Hungarian Soviet Republic (1919). Comrades are requested to help us in gathering material (no revisionist and Trotskyite work) which can be uploaded. Those interested may contact us at marxistfront@yahoo.co.in. For 133 days, from March 21st. to August 1st., 1919, a “Soviet Republic” existed in Hungary. During the Great Purge of the late 1930s, Kun was accused of Trotskyism and arrested on 28 June 1937, and later executed.